On some iOS devices, “Sign in to iCloud” message keeps occurring however iTunes shows its unlocked which really annoying. Well after playing around in this trouble much, it looks very certainly that the problem is with Wi-fi internet or firmware was upgraded through iDevice itself instead update/restore through iTunes. 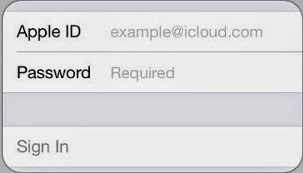 If you are not connected to Wi-fi, if your iOS device has trouble connecting over the internet or if there’s something else blocking your device from connecting to a Wi-fi network, this “Sign in to iCloud” loop will happen on your iDevice but your iTunes will show it unlocked. This time can be used to connect the iPhone to a Wi-fi network. So when the iPhone boots up after the hard reset, the first thing you do is connect Wi-fi internet and then start your unlocking tool to bypass icloud activation screen. When you restore and set up your iPhone as new, you will be asked to join a Wi-fi network. And then you can proceed iCloud activation bypass. Before proceeding to iCloud unlock please make sure your Windows hosts file has permission to modify or full control. I hope this method will resolve your issue, if not please leave your comments under comment box and we will try to address your issue. this bypass thing, did it restore the network activation? no it doesn't, this is just a trick to bypass iCloud activation if you have forgotten your iCloud account or your phone was used by someone else. i had the same trouble, i did 2 method u told, still can not sold this problem.wifi connected ok, maybe have other method??? Proceed activation method step by step. Warning: do not attempt to upgrade or erase your iDevice once unlocked. ip or ipad ios 7.1.1 can downgrade 7.0.4? ?